Demarrea Chante Barnes, 29, is seen in this mugshot photo provided by the Santa Ana Police Department. ANAHEIM, Calif. -- An arrest was made Saturday in the brutal beating of an 83-year-old man in Santa Ana. 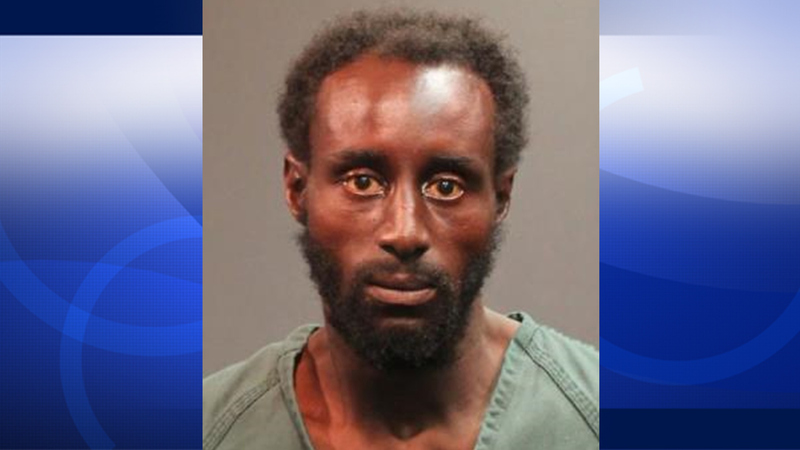 Police arrested Demarrea Chante Barnes, 29, in Anaheim. They believe he is a transient. Tuyen Nguyen was on his daily walk to get a newspaper and coffee at a restaurant in the 5000 block of West Edinger Avenue at about 6:10 a.m. Friday, when he was attacked without warning in the parking lot. The assault was caught on surveillance video. The victim was transported to a hospital and was last listed in critical condition. He suffered a brain hemorrhage and broken eye socket. Barnes was booked into jail on charges of assault with a deadly weapon other than a firearm and assault with a deadly weapon with great bodily injury.